Citizens can seek information regarding the activities of Kerala Institute of Local Administration by submitting a written request with details like Name , address, contact telephone number and particulars of the information sought. The reason for seeking information need not be given. The duly signed request may be addressed to the Public Information Officer, Kerala Institute of Local Administration, Mulamkunnathukavu P O, Thrissur – 680581 along with the required fee of Rs.10/-. 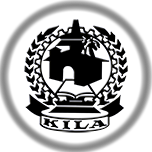 The Fee can be paid at the cash counter at KILA. Indian Postal Orders as well as Demand draft, in favour of Director, KILA payable at Thrissur are also accepted. Copies of documents will be charged according to the rate fixed by the State Information Commission, Kerala. If the reply is not received in time or if the information is not given, you can tender appeal to the Appellate Authority and Director, Kerala Institute of Local Administration.